It’s no secret that I am seriously addicted to coffee. I love the taste, smell, EVERYTHING about it. Normally, I stick to lattes or flat whites – with a shot of vanilla or hazelnut in. However, as we’ve been experiencing a mini heatwave, I’ve been all about the iced coffee for the past few days. Where I live there’s a Coffee#1, a Costa, and an array of independent coffee houses. They all serve iced coffee, but sadly, they are all seriously overpriced – if you’re having two or more iced coffees a day they are anyway. 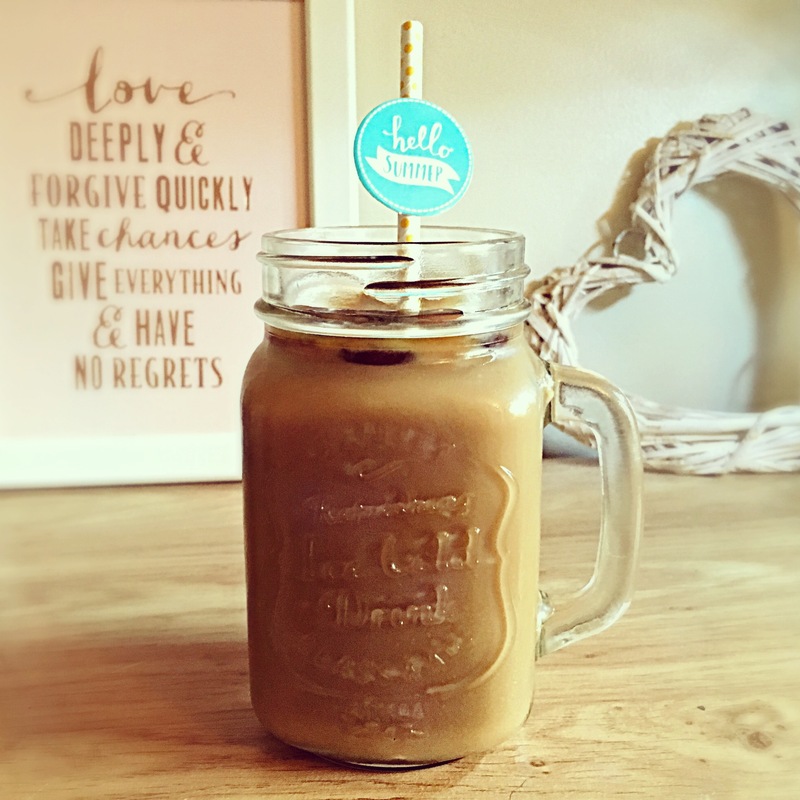 To save myself some pennies, I decided to go DIY with my iced coffee and see what I could come up with. I’ve made iced coffee before but it’s always been too milky, so this time I decided to change up my recipe a bit. I took inspiration from the iced coffees you get in coffee houses and came up with my own recipe. How did I make this tasty concoction? I started off by brewing some coffee. I placed around six teaspoons of coffee in a jug and filled it almost to the top with boiling water. I let this cool slightly and then transferred part of the mixture to an ice cube tray. Instead of using normal ice cubes in my iced coffee, I wanted to make coffee ones so that the water from the ice didn’t weaken down my coffee too much. I then placed the remaining coffee in the fridge. 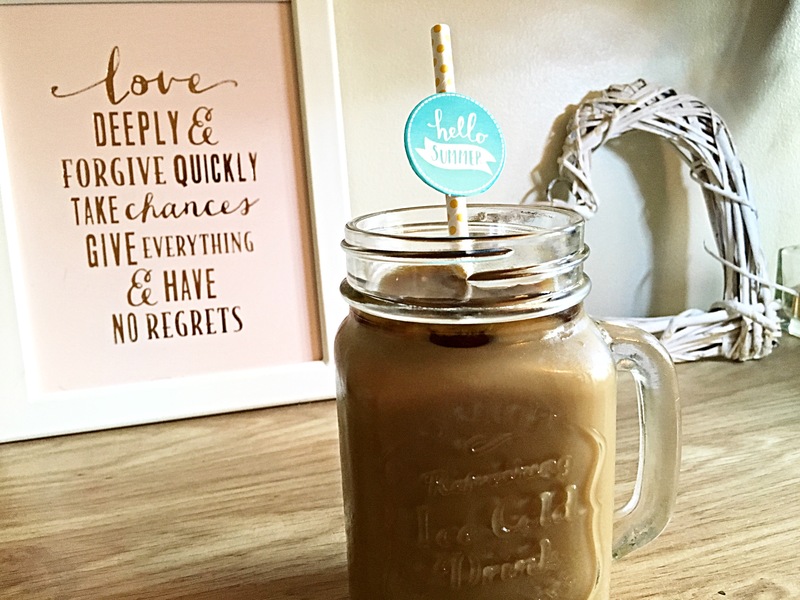 Once the coffee ice cubes were frozen, I filled a glass up to just over half way with the coffee from the fridge, added three coffee ice cubes, and topped it up with milk. I then added a shot of vanilla coffee syrup – this isn’t a must, I just happen to like flavoured coffee. 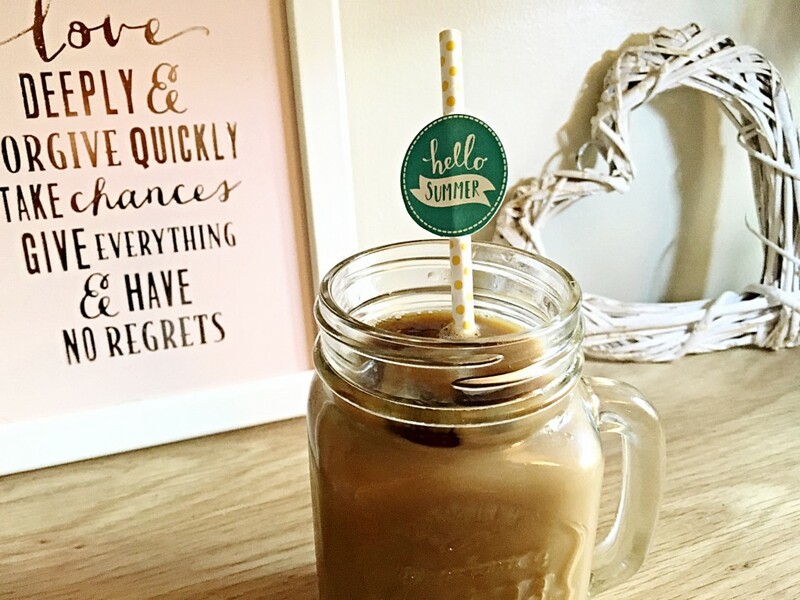 I gave it a stir, added a pretty straw, and voila, homemade iced coffee. What changes to this recipe could you make? If you prefer frappes to regular iced coffee, you could opt to mix the ingredients together in a smoothie maker. If you choose to do this, instead of using refrigerated milk, freeze a few milk ice cubes as well as coffee ice cubes. Then blend them together with the cooled coffee and syrup – if you choose to use it, to create a frappe. 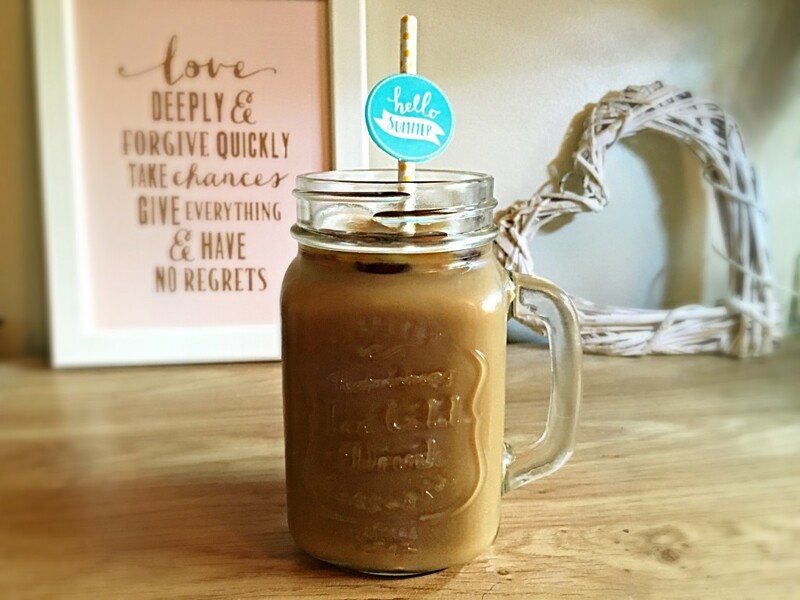 Not a fan of coffee, then how about swapping the coffee for cooled hot chocolate to create a caffeine-free frappe? Or, how about making a mocha frappe – half hot chocolate, half coffee? You could even add some chocolate sauce or nutella to give your frappe a more chocolatey kick. I used skimmed milk for this recipe but if you would prefer to use non-dairy milk that would work just as well. I often have almond milk, but on this occasion didn’t have any in to use. Boiling water – around 500ml. 300ml of milk – dairy or non-dairy. Coffee syrup in any flavour – this is optional. Can you suggest anything to improve my recipe? If so, please do let me know in the comments section below.